There are also mobs inspired. Your journey will be more exciting. I pray for good fight. This mod also contains elements of DeadSpace. Plasma Cutter, Pulse Rifle, Line Gun, Force Gun, Flame Thrower, Seeker Rifle, Plasma Saw. Slasher drops. You can throw it and damage it. The Explorer will drop. When throwing it will explode. Please note that the range is quite wide. Kunekune will drop it. Damage by throwing. By crafting you can also make dried Kunekune mask. You can craft with dried Kunekune. It is possible to give damage just by looking at mob. But power is low. Stronger than equipment equipped with diamonds. Flying by jumping while running. It is an item necessary to strengthen weapons. 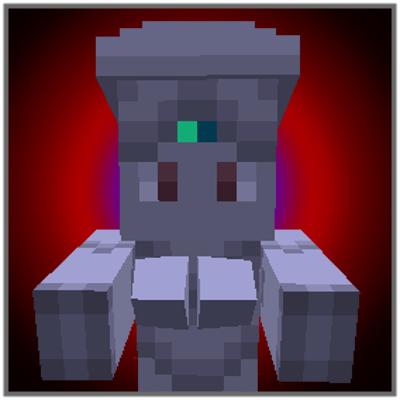 Diamond, Nether Quartz, Glow Stone Dust, Red Stone Block, Emerald can craft. Sometimes mob drops. Very high speed of bullets. If Plasma Energy is in the inventory and you hold the plasma cutter in hand, it will automatically reload. It can be strengthened with the power node. Lv2 gives the number of bullets, Lv3 gives power, Lv4 special (fire attribute) is given. It is a bullet of a plasma cutter. Give speed reduction, weakening, Glow to the direct hit or mob within range. If you put Stasis Pack in inventory and have Stasis Module in hand, it will automatically reload. It can be strengthened with the power node. Lv2 and Lv3 are number of bullets, durability enhancement is given with Lv4. It is a bullet of Stasis Module. Although the power of a single shot is low, it fires full auto. Shoot while sneaking and randomly fire bullets in all directions. It can be strengthened with the power node. As the level rises, the power and the number of bullets increase. In the inventory, if you have a pulse rifle, auto reload. It fires bullets spreading horizontally. When the shoot while sneak, shoot the plasma bullets of the time bomb. It can be strengthened with the power node. As the level goes up, the width, power, number of bullets increases, the secondary explosion range expands, and the detonation time is shortened. In the inventory, if you have a line gun, auto reload. Shoot and shock waves are generated, the closer the distance is, the stronger the power and the knockback become. Shoot while sneaking, fire energy bullets. Long distance is not good weapon. As the level rises, the power and the number of bullets increase. In the inventory, if you have a force gun, auto reload. Fire with a parabolic orbit. Shooting while sneaking will fire a fuel can, hit it, or explode in time. It can be strengthened with the power node. As the level rises, the power and the number of bullets increase. In the inventory, if you have a Flame Thrower, auto reload. When you sneak, you aim at the scope, recoil and shake are reduced. It can be strengthened with the power node. As the level rises, the power and the number of bullets increase. In the inventory, if you have a Seeker Rifle, auto reload. It is a tool and a weapon for rock drilling every block. ※ Bed Rock etc can not be broken. Feature: Although it will not move within view, as soon as it comes out of sight, it will be coming. Teleport it if you hit it. If it drifts as fluffy, it will attack you. It is a dangerous mob that explodes only by touching. It drifts fluffy, but unlike Willow Whisp, entering a certain range gives a blind effect. This is also dangerous because it is self-destructing just by touching. Melt the surrounding blocks one by one. When divided, it becomes easier to destroy the topography. Obsidian can not dissolve, but it is dangerous if it is a regular base. It has a diamond. But closer and be bad luck. Sometimes it burns more violently than Blaze. It is the Japanese urban legend 'Kunekune'. Although it does not move, it gets damaged just by putting it in sight, the time of fighting is very troublesome. Since Techne can not be used at the moment, it became like modeling with other tools. It attacks while releasing a bad smell. Just approaching will give you a powerful speed reduction. Also coming throwing a pebble while taking the distance. It splits and attacks. Split individuals disappear over time. Flying without sound and attacking. Attack ignores defense and gives damage. It is fat mob. Meat pieces become fuel. It is a mob that inhabits the desert. It have poison. It is a variant of wire mesh. It gives a moving speed reduction. Release guided bullets. You will be forced teleported when attacked. Unlike original stories, it moves. It has a powerful suicide attack. It drops right arms. Of course it will be thrown. Shoot a bullet from the tentacles of your back while taking distance. If it is a long distance it will be a bullet of a drop in moving speed, and if it is a short distance it will spur a bullet of ignoring protection. When you knock down it sprinkles bile and gives damage. If you burn it with fire attribute and defeat it will not scatter. Besides players, zombies and villagers also attack and change to slashers. It moves beyond some steps. Features: High attack power and rush. Long range attack. It is a powerful mob. It will have a knock back resistance. Also shoot exploding Pods at long distances. Spawn rate is low but is Necromorphs who capacity has been strengthened. Upon a suicide bomb it turns the whole area into a sea of fire. Even if suicide bombs, there is no topographical destruction, but it accelerates at a stroke and closes the distance. Suicide bombs will make the area cobblestone with the blast. There is a danger of item losing if you caught chest etc. When suicide bombs, it attacks with only the head and the leg. Split parts will not be self-destructed. Hi there! Love you mod. But for some reason most mobs won't spawn in Plains biome. Is it an intended behaviour or a bug? It is a concept that the plain should be peaceful. However, if you combine with other biome additional mod, I would like to fix it. ummmmm what about your weapon mod? I have not recently updated it, but I keep on developing it. Difficult because the bugs have occurred in the structure. Problem: After switching to creative mode, I found I could not fly. Diagnosis: While any piece of the Advanced Armor is in your inventory, you cannot fly in creative mode. Removing the armor from your inventory enables flying again. Note: You do not have to be wearing the armor for this bug to emerge, the armor can be in any part of your inventory. The method of advanced suit was modified in ver.0.2.1. You should be able to fly without problems. 1.7.10 has a lot of mods so I did not plan to make it, but if there is a request I will make it. If those two things could be fixed, I think the mod would be perfect! No issues other than those I believe. Currently reviewing the optimal settings in the Modify. Please wait a little more. The version of forge needs to be 14.23.2.2611 or later. It does not correspond before that. Engineering suits, Advanced suits, added. I made it possible to set the presence or absence of the Precarious Creepers' searching ability in the configuration. Please delete old config file. Can you add enable/disable for weapons? I want add mobs only into game, not plasmablasters etc. The Precarious Creeper is so annoying! Please remove it in later builds for at least nerf it. The detection range is abnormally wide. Make it changeable by setting. 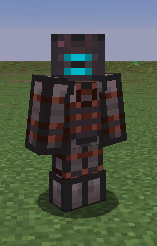 Having a lot of fun using the guns in this mods, have you thought of adding some armor from dead space too? Currently, I am making another update. It is addition of structure and mob. I want to add markers as well. 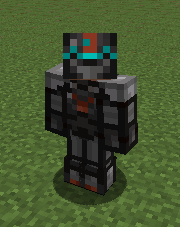 Of course I will also add things like engineer suit. Hi there! Can you add a mod options to configure the rate of spawn mobs please?